for guaranteed solution. We can do a diagnosis of your iPhone 8 and either have the screen replaced or carry out repairs to it. Why won’t my iPhone 8 turn on? There might be several issues that could cause your phone to not power on. Find the best iPhone repairs in Sydney to diagnose the problem and find a solution. Even if your iPhone 8 won’t turn on, we have got you covered. One of the most common iPhone issues that prevent your phone from turning on is LCD damage. If your LCD is damaged, from a drop or a hardware malfunction, it will look like your iPhone is not powering on. We can solve this by iPhone 8 screen repair in Sydney or iPhone 8 screen replacement in Sydney. Another hardware issue is damaged or dirty charge ports. Dirt and grime can get lodged in your charge port and can cause your phone not to charge. Get in touch with our professionals to find the best solutions. My iPhone 8 screen cracked. Can you fix it? 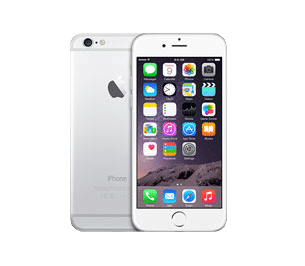 iPhone 8 drops are inevitable, and you should find high quality and convenient iPhone 8 repair in Sydney to fix the problem as soon as possible. If your screen is broken, you have two main iPhone screen repair options: Glass or LCD repair. In most cases, the front glass can broke on its own. Whether your screen got cracked and you need an iPhone 8 repair in Sydney, we are here to help you. Get in touch with us now, and we can fix it at no time. My iPhone 8 speaker is not working. What might be the problem? This problem might be due to a software or a hardware issue. We first look at the software when diagnosing your iPhone sound issues to make sure it is not due to a faulty app or some type of update issue. If the problem is with the software, it can be fixed quickly. Hardware problems are more serious but can be fixed quickly by a professional. What can I do to fix sluggish iPhone? Freeing up space on your iPhone can generally fix a sluggish phone. Keeping hundreds of photos, videos and downloaded files on your device can cause your phone to be slow and deleting these will speed things up. You can also remove apps that could be running background services. Hire an iPhone repair professional to optimise and speed up your iPhone. Will you do iPhone 8 screen replacement in Sydney? Yes! Whether you need an iPhone 8 screen repair in Sydney or a complete replacement service, we have the right screen in stock to fix it. 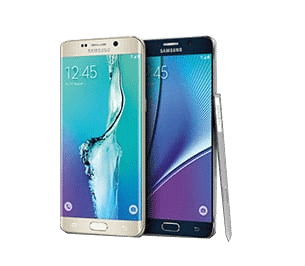 Screen replacements and repairs are our specialty and they usually fixed in a few minutes. We have the highest quality parts, the fastest iPhone repair process and the most helpful technicians in the industry.